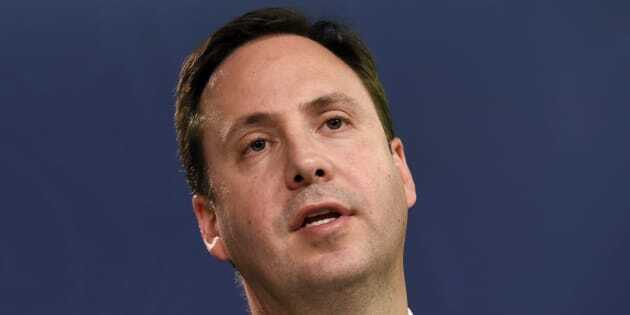 Federal Tourism Minister Steven Ciobo has apologised for announcing an agreement for additional flight services between Indonesia and Australia on the 10th anniversary of a plane crash in Indonesia that killed 21, including 5 Australians. While in Indonesia, Ciobo announced a deal on Tuesday that will see airline Garuda Indonesia introduce five additional services to Australian major cities, but later tweeted out an apology for publicising the agreement on the anniversary of the tragic accident. On March 7, 2007 Garuda Indonesia Flight 200, believed to be travelling too fast, overran a runway at Yogyakarta airport and crashed into a rice field before bursting into flames. Twenty passengers and one crew member were killed in the incident, but the captain and first officer survived. The victims and survivors involved in the tragic accident, which included five Australians -- journalist Morgan Mellish, Federal police agents Brice Steel and Mark Scott, AusAid employee Allison Sudradjat and Jakarta embassy spokeswoman Liz O'Neill, were all severely injured by the crash and the wreckage of the aircraft. One hundred and eighteen other survivors, including five other Australians, managed to survive the crash after scrambling for exits in the flaming plane, according to the Sydney Morning Herald. No mention of the incident was given during a press conference held in Indonesia between Ciobo and the CEO of Garuda, Arif Wibowo. Prime Minister Malcolm Turnbull paid tribute to the five victims of the accident on Tuesday morning, according to Sky News. Followers of Minister Ciobo took to social media to express their surprise and anger that the Federal minister has seemingly forgotten the date of the crash. The deal is said to increase flight capacity between the two countries by up to 13 per cent and "help create Australian jobs and drive economic growth," according to the statement released by Ciobo on Tuesday. The partnership between Tourism Australia and Garuda Indonesia was formed in 2014 to increase numbers of Indonesian tourists travelling to Australia through Sydney, Melbourne and Perth. The new deal will see the airline open services from Jakarta to Sydney and Melbourne from May 2017, and one additional seasonal flight each from Jakarta to Melbourne, Sydney and Perth.